Recent findings link frontotemporal gamma electroencephalographic (EEG) activity to conscious awareness in dreams, but a causal relationship has not yet been established. 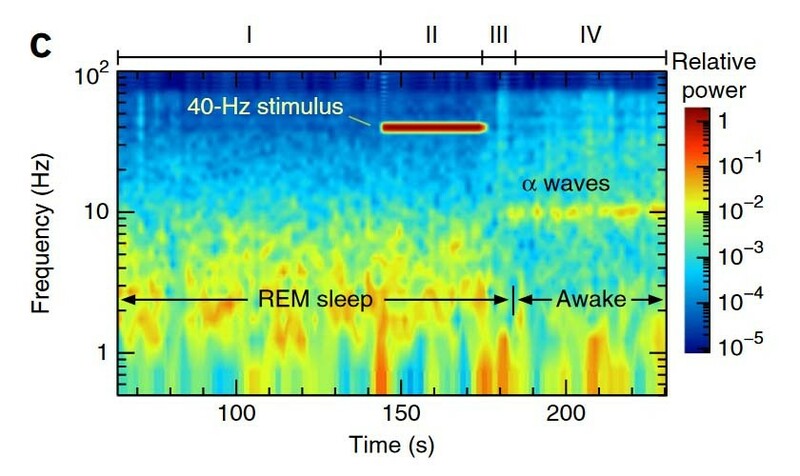 We found that current stimulation in the lower gamma band during REM sleep influences ongoing brain activity and induces self-reflective awareness in dreams. Other stimulation frequencies were not effective, suggesting that higher order consciousness is indeed related to synchronous oscillations around 25 and 40 Hz.